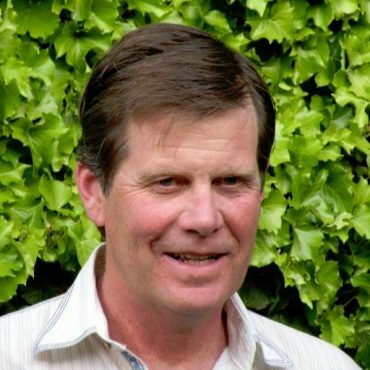 Norm Yost graduated from the University of California, Davis with a bachelor’s degree in environmental studies in 1981. When his college roommate graduated from the winemaking program with a job and Norm didn’t have employment, he morphed from a beer drinking football player into a winemaking craftsman. During his 35+ vintages in the industry, Norm worked for diverse wineries in cool climate regions, from Oregon’s Willamette Valley to the Russian River in Sonoma County and finally Santa Barbara County. He attributes his vast experience in the industry to the success of Flying Goat Cellars, which he launched in 2000. As the proprietor of his own business, Norm enjoys the freedom to focus on his passion for making vineyard designated Pinot Noir and sparkling wine. Half of Norm’s winemaking career has now been in Santa Barbara County, where he celebrates working with the exceptional local fruit. He is currently a board director of World of Pinot Noir; formerly a board director of Sta. Rita Hills Winegrowers Alliance and Santa Barbara County Vintners Association and a winemaking instructor at Allan Hancock College.